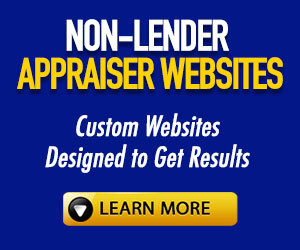 In this video, you’re going to learn why you need a website so you can get more non-lender appraisal work. A good number of appraisers do not have a website. I want to talk a little bit about why you HAVE to have a website moving forward, especially in this changing industry. We’ll talk a little bit about having influence or having power in your local market area and how that’s hard to do or hard to have if you don’t have a website, which is really the foundation of your business. The first thing is, it’s going to establish trust and credibility. You probably saw in our ad, if you don’t have a website, most people are not going to take you seriously or they are going to think you are behind the times or you are a brand-new appraiser. I think it’s really important just from a credibility standpoint for your business that you do have one. Also, it’s going to introduce customers to you that you would never otherwise have met or made if you did not have a website, which is a great way to meet new people, make new customers, and make new clients as well. The other thing is… it gets you listed on the search engines. There are hundreds if not thousands of different directories out there where your website can be listed, being in Yahoo and Yellow Pages, and I could go on and on, but if you don’t have a website, you can’t get listed on those directories. People that are searching for appraisers on those different directories are never going to find you if you don’t have a website to list on those directories. 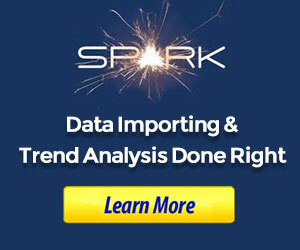 The other thing is, it helps you to leverage social networking sites. I know a good majority of you are on Facebook, so it helps you. You can drive people back to your website. Maybe you’re posting content on your website, it helps you to leverage all the other social avenues that you have driving people back to your site, which is what you should be doing with your social media. It also allows you to have instant communication with your audience. Everybody likes instant gratification these days. No one likes to wait. So, if somebody comes to your website, now you can talk with them immediately. But if you didn’t have a website you would not be able to do that. Having a website allows you to be found 24/7. We never know when people are going to be looking for appraisers. We never know when people are going to be searching online. So, it allows your business to be publicly seen, whether you’re available or not… your business is online 24/7. Otherwise, people might not even know your business exists. Now a lot of you might work in specialty work. Another great thing that a website can do is it can provide a medium to show off your work. Maybe you’re doing a certain type of appraisal… say you only work in luxury real estate or maybe you only do divorce or estate type work. Having a website really allows you to show that off and to really shine at what your expertise is. Once again if you don’t have a site you have no way to show off exactly what it is you’re doing, make yourself stand out and show what your specialties are. As I mentioned before, your site is really the hub for everything you’re going to do marketing wise. No matter what you’re doing… whether it’s online marketing, social media marketing, content marketing, direct mail marketing, whether you’re out speaking, whether you’re networking or whatever… There’s an endless array of ways you can market your business. But you’re normally driving them back to your website. It’s really the hub of everything else. It just kind of spokes off of your website if you will. It’s the hub for all you do, so it’s critical that you have a website and it allows you to have that credibility. What I find is the appraisers that don’t have a website or just have a website that’s not converting… do not realize all the opportunity they’re missing out on. There is so much work online and I’m not talking just about one-off appraisals. I’m talking about clients that are finding you as well. Whenever I think of a client, I think of the lifetime value that client. So we’re not always just looking for the one-off – someone who is looking for a divorce appraisal or estate appraisal. We’re also looking for those clients that are going to give us regular work. Financial planners, accounts, property managers, attorneys, different firms. We can even show you, if you wanted to do more lender work, how can you use your website from a credibility standpoint when you’re trying to get on some tough panels as well. So, there are ways you can do that. But once again you’re missing out on such a great opportunity if you don’t have a website. This is more important now than ever with the changes in the industry that are happening, as there is a lot of talk about things starting to slow. I’m starting to see more and more postings online about reviewer appraisers getting laid off and staff appraisers starting to get laid off, because things are starting to change in the industry. You know Trump has made several announcements right now with changes regarding the appraisal industry and the financial industry. There’s a lot happening and it’s going to be interesting to see how things are going to play out for appraisers over the next year or two if not sooner. And so, if you don’t have a website, it’s going to be tough for you to diversify your business in a way to help you weather that storm. To build your business around non-lender work as well. It’s more important now than ever. You’ve got to have a great website in your business if you’re really looking to survive and thrive moving forward. Do you have a website that shows what you do, builds your authority and credibility, and brings you orders? If you don’t have a site like that currently, you need to start thinking about it now so you’re set up for long-term success.